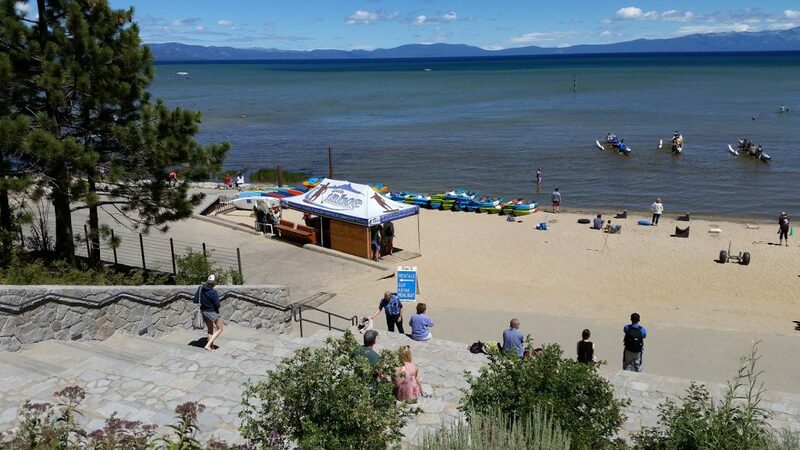 El Dorado Beach is located in the center of South Lake Tahoe. 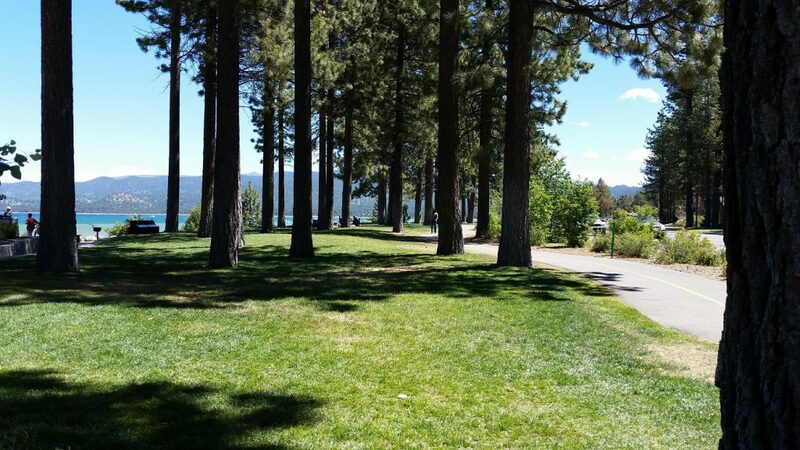 You will find amphitheater seating, oodles of warm sand for sunbathing, and grass areas for your napping pleasure. 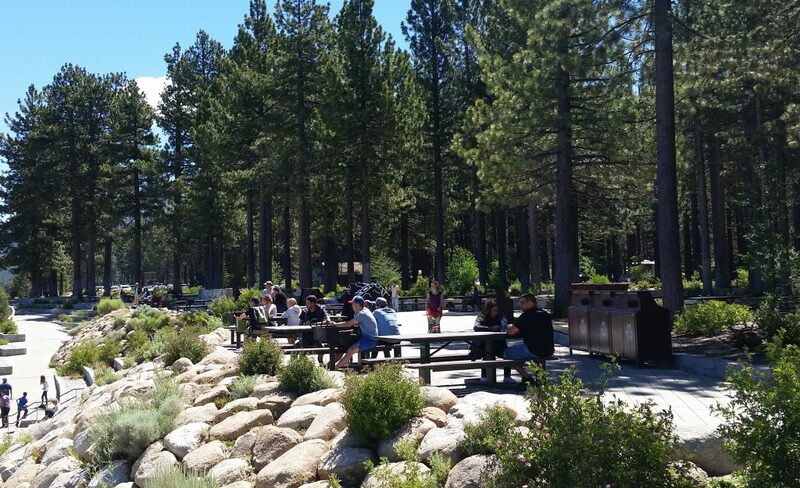 Most of the amenities at El Dorado Beach have been built in the last five years including several clean restrooms, a snack bar, dozens of picnic benches and barbecue pits. There is an ATM machine located next to the snack bar. ATM transactions include a $4 fee. 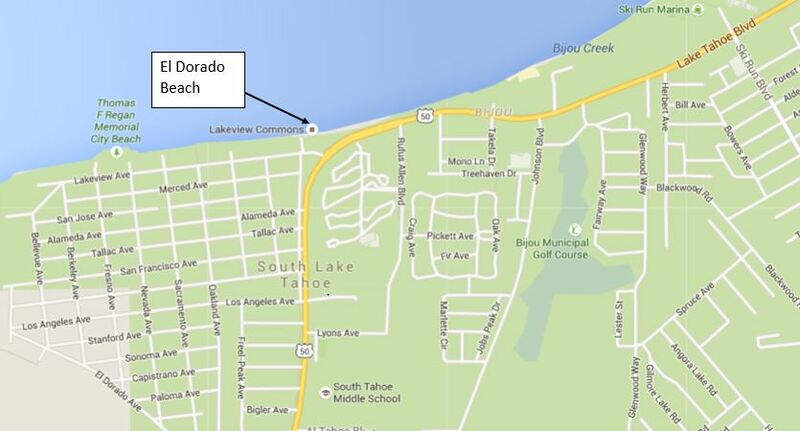 There is an excellent bike path connecting El Dorado beach with the rest of South Lake Tahoe. 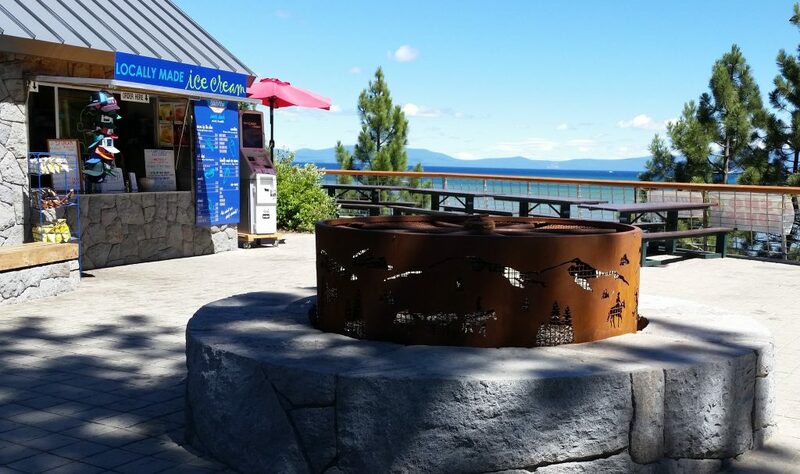 El Dorado Beach is also accessible by taking the BlueGo bus. 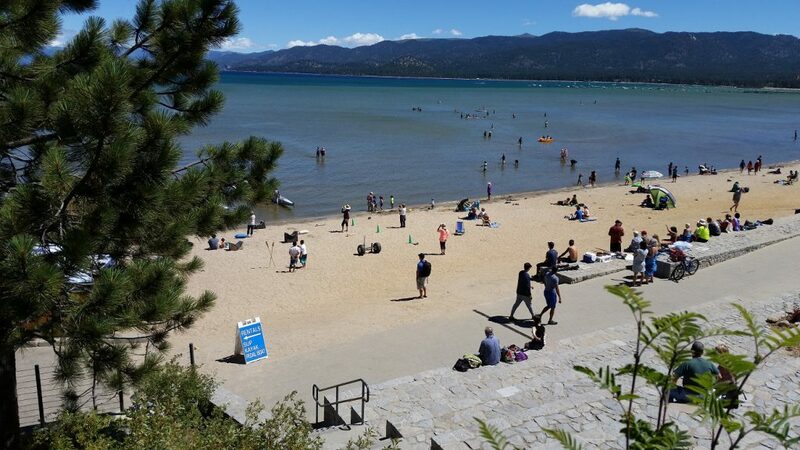 El Dorado Beach can be seen from Highway 50 at the intersection of Hwy 50 and Lakeview Avenue, directly across from The Campground by the Lake. This is a beach that allows dogs (on a leash) and parking is free!